We hope by now that we’ve drilled in the importance of wearing the best SPF moisturisers all year round and slathering on the best sun cream before heading outdoors. But equally as important is rehydrating the skin afterwards – enter the best aftersun. There are various lotions, mousses, creams and gels out there to cool the heat of sun-soaking, prevent peeling and rehydrate your skin, getting it back to tip-top condition in no time. Packed with hydrating ingredients like aloe vera, vitamin E, shea butter, almond oil and Omegas 3 and 6 to boost moisture levels, some also contain subtle tan enhancers to prolong your summer glow. Keep in mind that speed is the key to cooling the skin – don’t wait until you start to feel itchy or overheated – so apply your best aftersun as soon as you’re back indoors or safely in the shade. What does the best aftersun do? Aftersun isn’t reserved only when you’re burnt; it can and should be applied every time you’ve been soaking up the sun. But, of course, it’s especially important in sunnier climes. ‘Heat, salty sea water, chlorine, winds and sand will all dry out your skin,’ says consult dermatologist Dr Sharon Wong. So, what’s the best way of caring for skin that’s been out in the sun? ‘Ensure all sunscreen, chlorine, sand and salt is washed off your body and face, before applying generous quantities of a good quality, hydrating moisturiser, to help restore the lipid barrier of the skin,’ she adds. Dr Wong also advises that you use a thicker moisturiser when the skin is shedding, but that you should ‘keep it simple with fragrance-free products, as sunburn tends to make the skin more sensitive’. Once you’ve been out in the sun, you need to slather on your aftersun lotion to restore your skin’s functions. 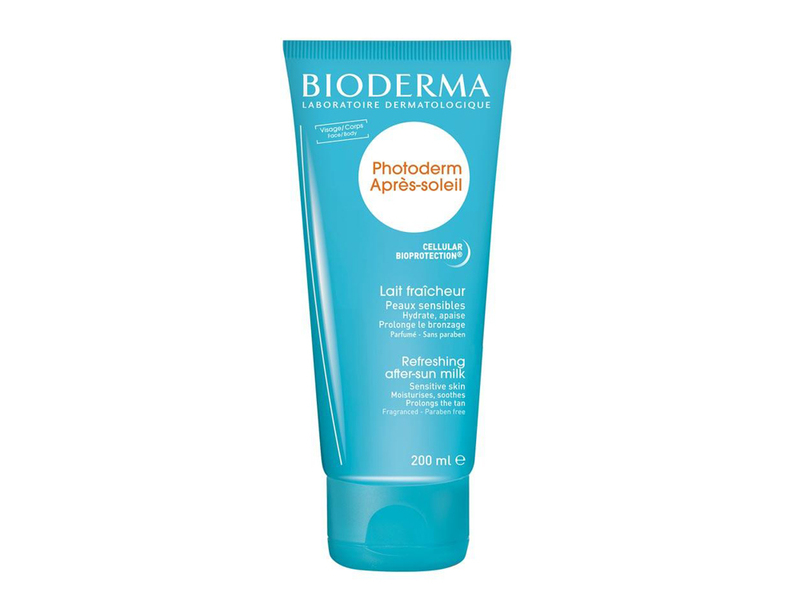 Rightly hailed as one of the best European skincare brands on the market, Bioderma’s Photoderm After Sun is one of the best aftersun lotion buys. Its milky texture helps to soothe and reduce any inflamed, sore patches, but more importantly it helps to heal the skin and prepare its next trip out in the sun. While sprays are a favourite for convenience when it comes to aftersun, some people prefer to indulge in a thick and creamy formula. 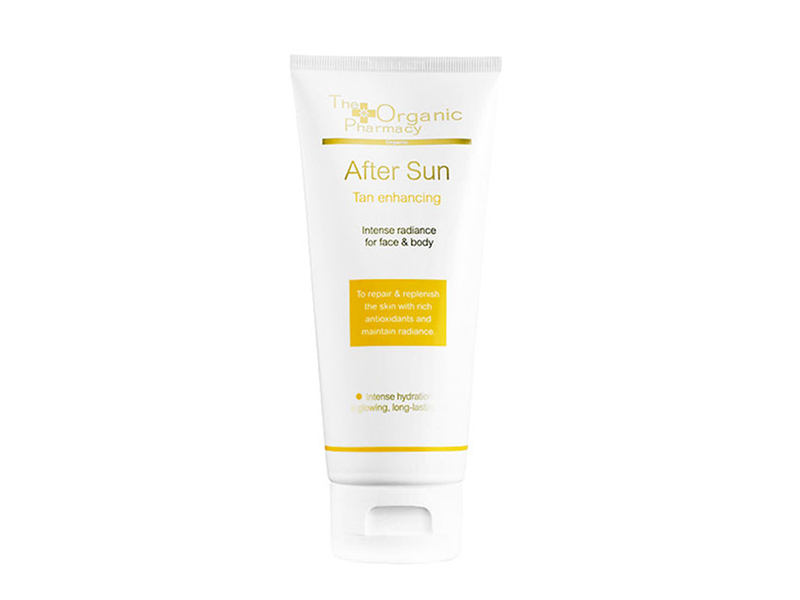 Although it’s named ‘Tan Enhancing’, The Organic Pharmacy’s aftersun doesn’t actually contain any fake tan. What it does do is help prolong a sun-kissed glow by repairing and replenishing the skin, with pure organic extracts of aloe, rosehip, carrot, calendula, green, white and red tea and nettles. 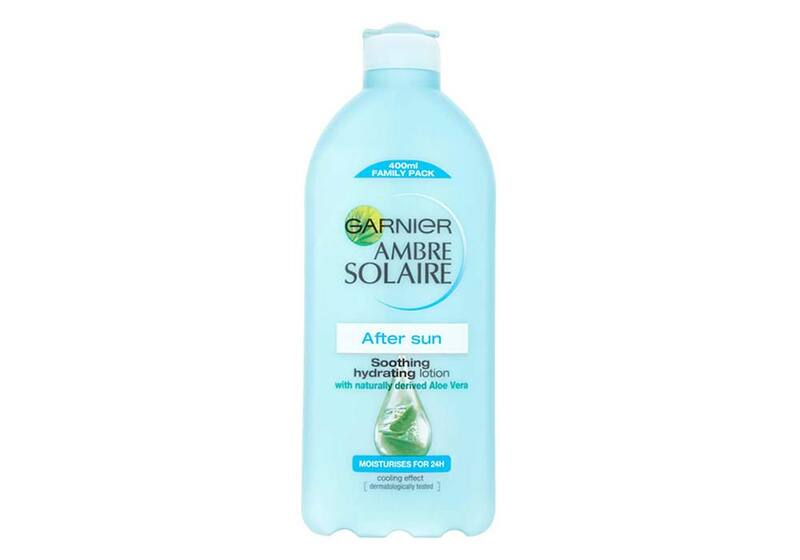 Ambre Solaire is one of the best trusted, go-to brands when it comes to sun protection and aftercare. Enriched with cactus extract and aloe vera, it’s a super hydrating formula that replenishes your skin with the right amount of moisture, preventing that nasty peeling skin we all love to hate. Be sure to always take care of your skin after being in the sun – even when you can’t see any visible damage. And remember, post-sunshine skincare is essential any time your skin has been exposed to the sun’s rays, not only when it’s hot! Keep reading for the best aftersun reads on the market now. The post The best aftersun to soothe your skin this summer appeared first on Marie Claire.